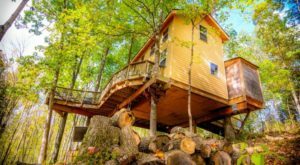 There are few overnight accommodations throughout Kentucky that seem to take hold of you the minute you walk in, and subsequently, you find it difficult to let go. 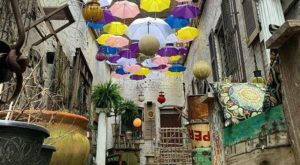 These memorable inns, hotels, and bed and breakfasts are typically charming, welcoming, and unique in some way, and many carry a story with them that touches your heart. 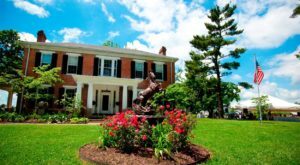 Located in scenic Oldham County outside of Louisville, The Inn at Spring Run Farm is a bed and breakfast that will definitely stick with you. A stay at this 18th-century inn and horse farm is a Kentucky experience you’ll never forget. 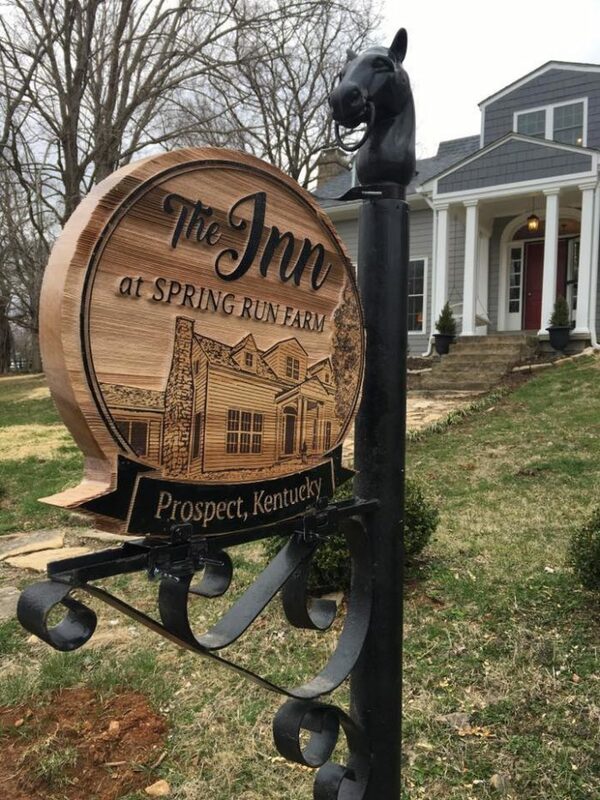 The Inn at Spring Run Farm is located in the small town of Prospect on Covered Bridge Road in Oldham County. A scenic country road will lead you on a drive through the woods, which then opens up to this incredible property. 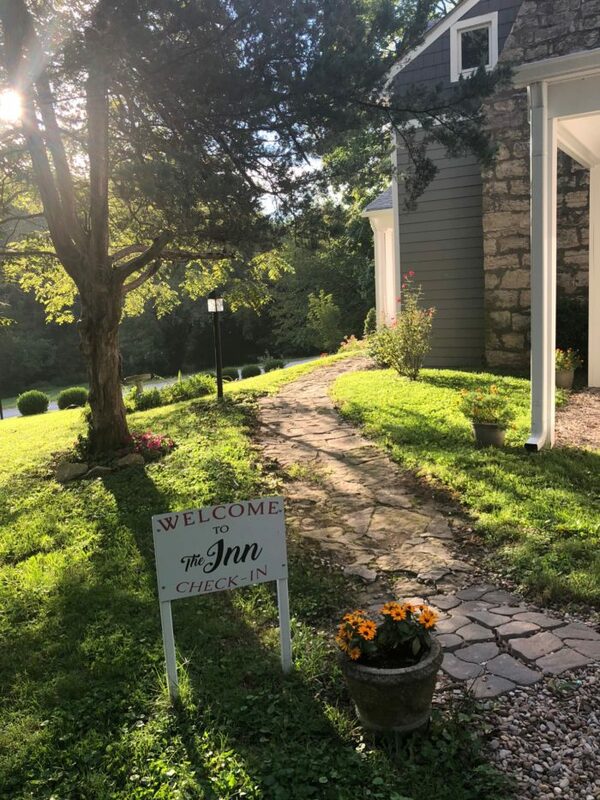 The Inn is new to the bed and breakfast scene in Kentucky and was completely renovated in 2017. 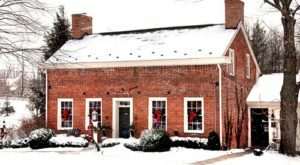 Our state has many charming bed and breakfast destinations and must-see places, and this enchanting inn is sure to top every "best of" list very soon. The land was originally settled by the Hardin family in the late 1700s and signs of this early life are still evident within the inn and on the property. 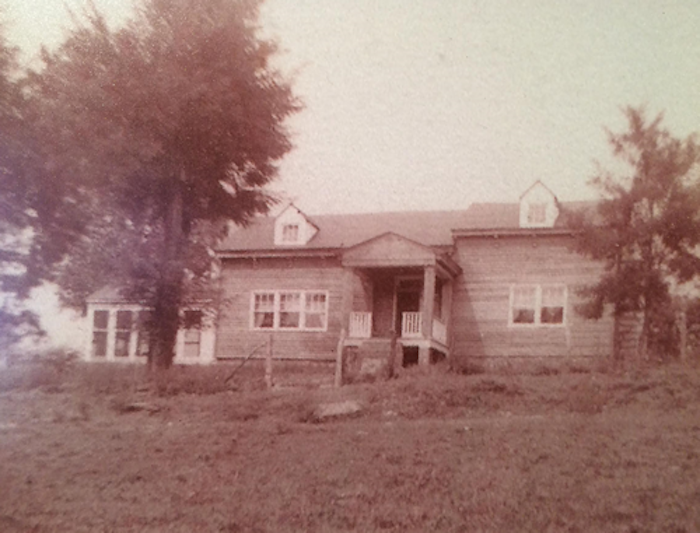 The cabin is shown as it looked in the 1930s below, and these original dogtrot cabins are still a historic feature of the home today. 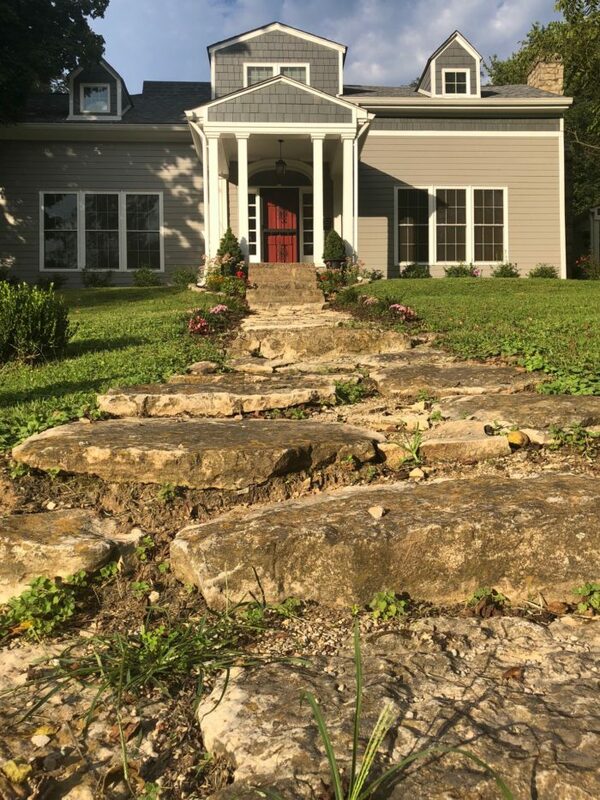 The farm's current owner, Susan Lewis Harris, along with owner and innkeeper Jeff Perellis, have brought many dreams to life by restoring and renovating the "Spring Run House." They reside in a family home on the property, but it's clear that the inn holds a special place in their hearts. As you pull up to the house, you'll immediately notice the endearing combination of old and new. Mature trees and well-loved stones surround the inn, welcoming you for your stay. The interior of the bed and breakfast is best described as cozy. It's not an overwhelming cozy where you may feel closed in, but rather the warm tones and rustic features remain light and airy. 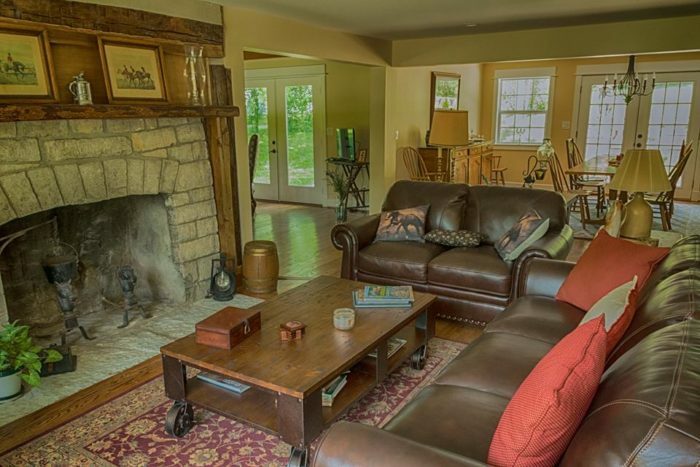 The original ash flooring, stone fireplaces, and of course the log cabin walls whisk you away to a historic period of time, as the bright light and mix of modern and antique furnishings make you feel right at home. 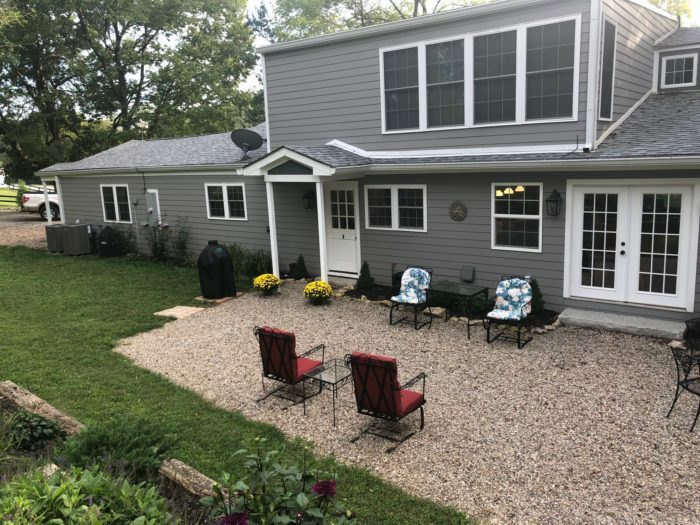 The inn is perfectly laid out for a getaway with a rather spacious gathering area, sunroom, and open, renovated kitchen. There's a bedroom on the first floor, shown below, and three others upstairs. 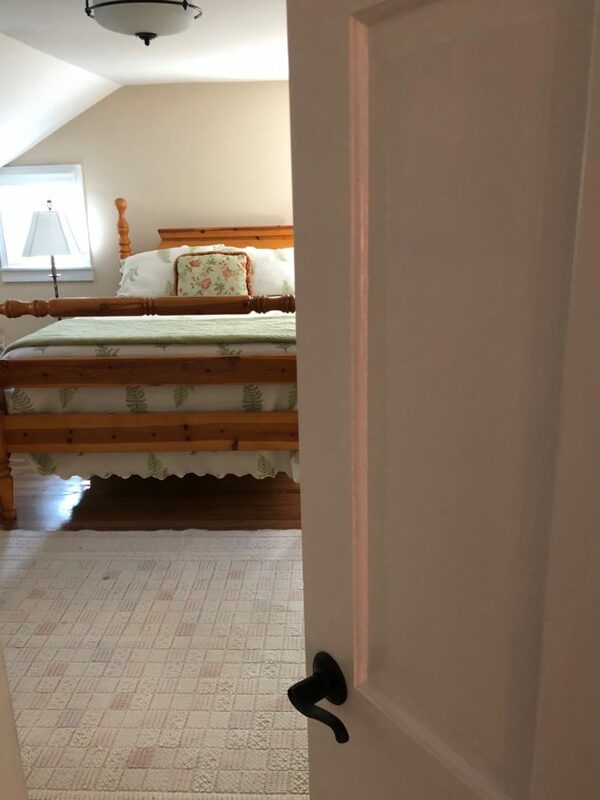 You will definitely be impressed by the renovations and the photos both here and on the inn's website, linked below, do not do it justice. 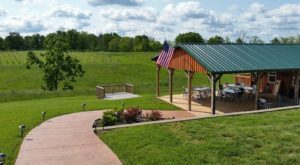 When you visit Spring Run Farm for yourself, you'll understand just how true that is. 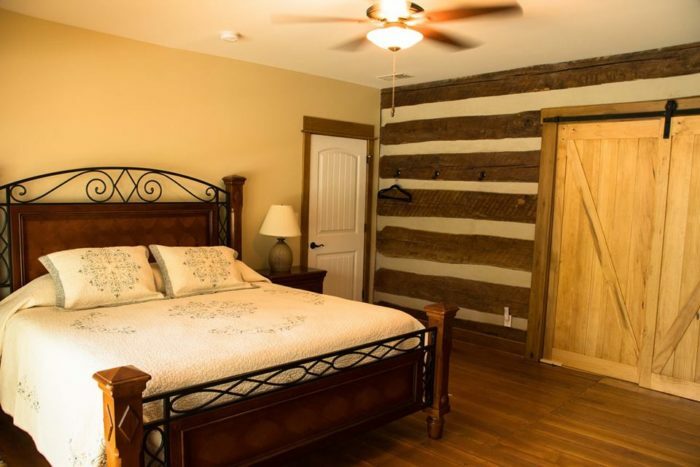 The three bedrooms upstairs are also filled with historic character, Kentucky charm, and all the comforts of home. The innkeeper Jeff is also a fabulous chef and he will ensure you do not leave hungry. Breakfast is served in the sunny dining room and every little detail is impeccable. 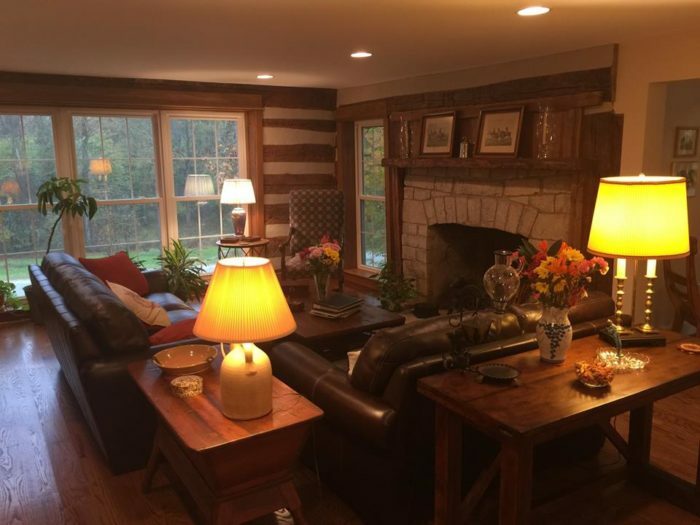 While there are fancy dishes and finely prepared foods, the atmosphere created at the inn by Jeff and the home itself is as comfortable as it gets. 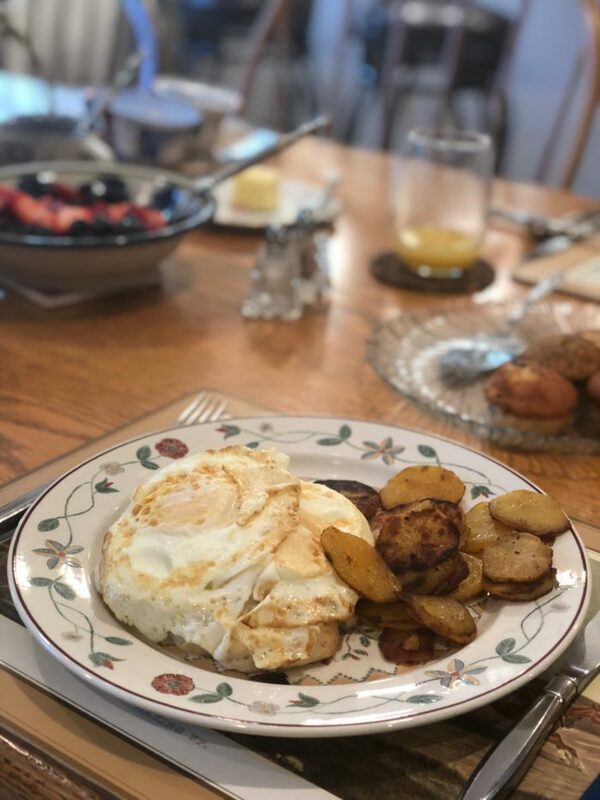 You are a welcome part of the family when you visit, and you are invited to treat the bed and breakfast as your home away from home. During your stay, be sure to enjoy time outside, exploring the yard and farm. There's a patio behind the inn that's perfect for enjoying a good book and admiring all of Susan's flowers. 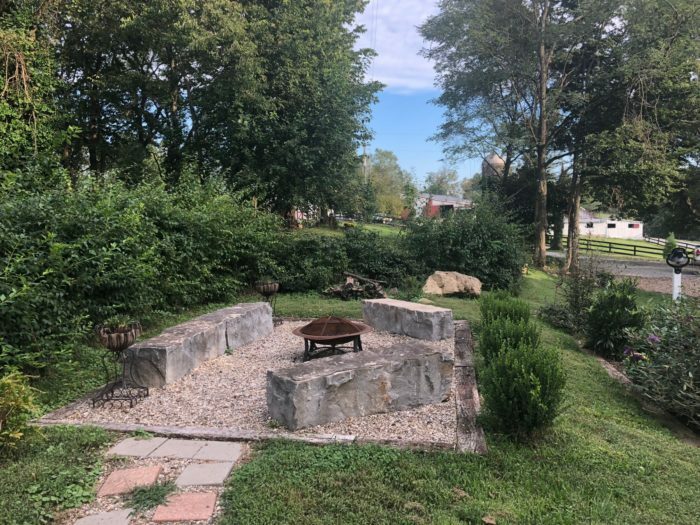 There's also a fire pit up from the patio to take advantage of on cool nights. It's just another cozy spot on the property to relax and unwind either by yourself or with company. 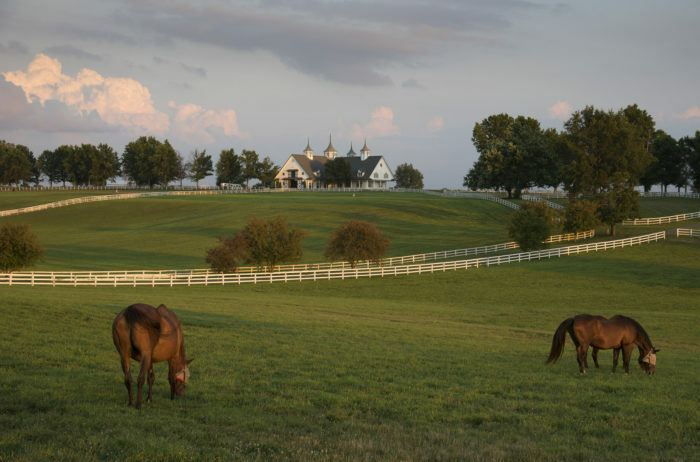 As a Kentucky bed and breakfast, there's no better setting than this active horse farm. The barns, stables, and arenas are adjacent to the inn and add so much charm to the experience. If you happen to have horses, this is the perfect place to travel with them! Or just feel free to wander and admire these beautiful animals and the talented riders who also call the farm home. 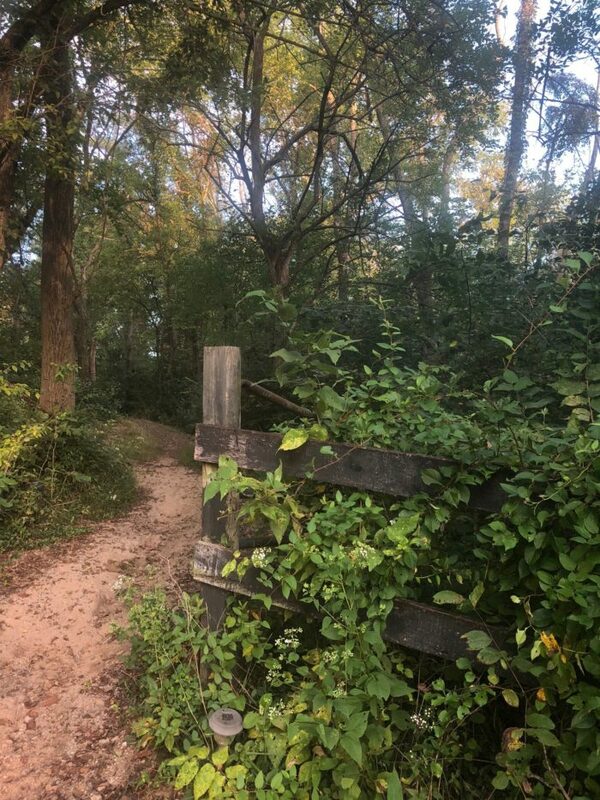 If you venture just a bit, there are paths and wooded trails around the property that are ideal for a morning stroll. 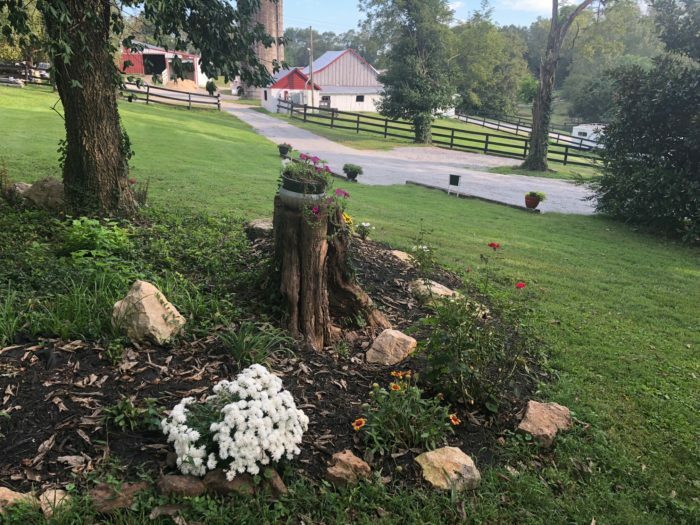 If you've been looking for a place that feels like an escape but is still close to conveniences, The Inn at Spring Run Farm is your beautiful answer. 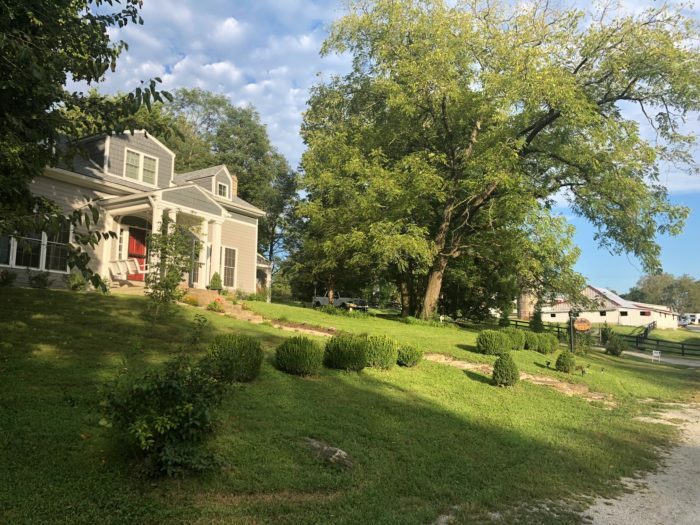 After a day spent exploring Oldham County or nearby Louisville, there's nothing like coming home to this cozy bed and breakfast. Grab a book, a glass of wine, and curl up on this couch, surrounded by 18th-century history and farmhouse charm. An evening such as this is one of the many reasons that you'll never forget a stay at this wonderful bed and breakfast in Kentucky. 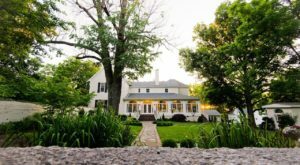 The Inn at Spring Run Farm is an idyllic getaway that’s filled with history, naturally beautiful surroundings, and enough charm to last a lifetime. Do you enjoy staying at bed and breakfasts? 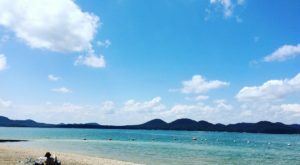 Be sure to tag someone in the comments who would love to know about this enchanting overnight destination. 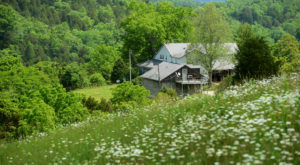 For more information on The Inn at Spring Run Farm, visit its website here and follow along with them on Facebook here. And while you’re in the area, be sure to drive through a nearby tiny train town, featured in a previous article here.